The Hammer DVD Guide has been substantially updated. I've added many recently-release foreign discs (nothing very remarkable), and marked a whole slew of titles that might now be out of print (because the sales and marketing deal between Studio Canal and the UK division of Warner Home Video has apparently ended). I've also added a summary of the recent changes to the Guide's index page. 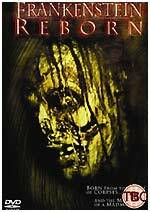 Mosaic will release Frankenstein Reborn, the latest modern-day retelling of Mary Shelley's novel, on DVD on April the 17th. The disc will be released as a rental title on February the 6th. The film's director, Leigh Slawner, was one of the producers on the C. Thomas Howell version of War of the Worlds, which Mosaic will be releasing here as a rental title on December the 12th, re-titled as Invasion. The disc will feature a behind-the-scenes featurette, deleted scenes and a trailer. No technical details were announced. Buena Vista Home Entertainment will release the third season of sitcom Home Improvement on DVD on January the 9th. The four-disc set will include twenty-five episodes of the series. In addition, there's an additional bonus, Tim's Tool Corral, featuring Tool Time girl Debbie Dunning. Buena Vista will also release the third season of The Golden Girls on January the 9th. The four-disc set will feature twenty-five episodes. Bonus features include a compilation of "the most entertaining jokes" titled Golden Moments; and a compilation of "the most hilarious moments from the series", called The Golden Girls Scrapbook. 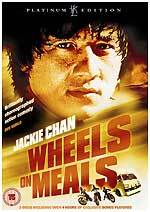 Hong Kong Legends will release the martial arts comedy classic Wheels on Meals (Kwai tsan tseh) on DVD on January the 30th. The film, which stars Jackie Chan, Sammo Hung and Yuen Biao, will be presented as a two-disc Platinum Edition set, with more than four hours of bonus material. The film has been "digitally re-mastered and restored", and will be presented in 16:9 anamorphic format, from a high definition master. It will feature a choice of English dubbed and Cantonese (with re-mastered English subtitles) Dolby Digital 5.1 tracks, and the original Cantonese mono audio track. The film will be accompanied by a commentary track by the estimable Bey Logan. The second disc will include an exclusive interview with Sammo Hung, the film's director and star, titled On Giants' Shoulders; Born To Fight featurette on action icon Yuen Biao; Rush and Roll with Rush Hour and Rush Hour 2 director Brett Ratner; The Inside Track with veteran action-director / stuntman Stanley Tong; Jet Fighter, an interview and teaching seminar with undefeated kickboxing champion Benny 'The Jet' Urquidez; King of the Ring featurette with Black Belt Hall of Fame Karate champion Keith Vitali; outtakes; and a trailer gallery. RRP for the set is £19.99. 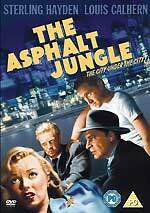 Warner Home Video will release John Huston's Academy Award-nominated film noir thriller The Asphalt Jungle on February the 13th. The film, which stars Sam Jaffe, Sterling Hayden, James Whitmore and Marilyn Monroe, will be presented in 4:3 ratio, with mono English audio, and optional English subtitles. There's no indication on the press release that the disc will feature the introduction by John Huston, or the commentary track, by author Drew Casper, interspersed with comments by James Whitmore. The RRP is £15.99. If the lack of bonus features makes you want to investigate the Region 1 edition, then you might like to know that the disc is also available as part of Warner Home Video's Film Noir Classic Collection (a five-film set that retails for about £24). The film is about four lifelong friends on a journey of self-discovery who have adventures wearing a magical pair of jeans (shades of Ray Bradbury's The Wonderful Ice Cream Suit!) Like The Gilmore Girls, it, too, stars Sin City's Alexis Bledel (and Amber Tamblyn, America Ferrera and Blake Lively. The disc will feature deleted scenes with commentary by director Ken Kwapis; Fun On The Set; Suckumentary (about one of the character's summer); Sisters, Secrets and the Travelling Pants - A Video Commentary (sic, in which the cast reminisce); A Conversation With Ann Brasheres (author of the enormously popular series of novels used that the film is based on); and a theatrical trailer. No technical spec's were announced (not that it matters, because, y'know, it's for the ladies). The RRP is £15.99. Incidentally, The Sisterhood of the Traveling Pants was the first to be released simultaneously in American cinemas, and on DVD in China, in an effort to stem piracy. Warner Home Video will release The Gilmore Girls - The Complete First Season on February the 6th. The six-disc set will include twenty-one episodes of the series, which is about the relationship between a mother and her sixteen-year-old daughter. 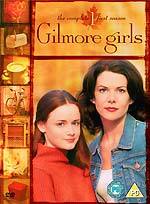 The set will also include additional scenes, a Welcome to Gilmore Girls documentary, and Gilmore Goodies and Gossip. No technical details were announced. The set has an RRP of £44.99. The next three volumes of Gerry Anderson's New Captain Scarlet will be released on DVD by Granada Ventures on January the 30th. Volumes two, three and four will each feature three episodes, with an RRP of £7.99 each. Presumably anyone who was really interested in the series will have bought the box set that came out in October. Warner Home Video has announced new dates for three DVD sets that were originally due to be released earlier this year. The Essential Steve McQueen Collection will now be released on February the 6th, with an RRP of £44.99. For more details see the News entry for April the 7th. 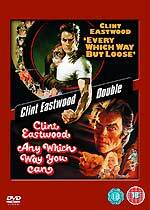 Clint Eastwood's two Philo Beddoe films, Every Which Way But Loose and Any Which Way You Can will now be released on February the 6th. For more information, see the News entry for August the 24th. Both films will be accompanied by a theatrical trailer. Nice to see that they've kept the original Bob Peak poster artwork. The Greta Garbo Signature Collection will now be released exclusively to HMV on January the 23rd. For more details see the News entry for the 8th of July. Ceri has updated the Offers page with some tempting new bargains. Hopefully we can help save you a few quid. There's certainly plenty on offer, from staggeringly cheap X-Files sets to some great deals on Network titles. Paramount will release a Special Edition of the most recent Star Trek movie, Nemesis, on December the 26th. The two-disc set will feature two commentary tracks (one by director Stuart Baird, and another by producer Rick Berman); a text commentary by Michael and Denise Okuda; Nemesis Revisited; New Frontiers (Baird on directing Nemesis); Storyboarding the Action; Red Alert! Shooting the Action of Nemesis; Build and Rebuild; Four-Wheeling in The Final Frontier; Shinzon Screen Test; A Star Trek Family's Final Journey; A Bold Vision of the Final Frontier; The Enterprise R; Romulan Lore; Shinzon and the Viceroy; Romulan Design; The Romulan Senate; The Schimitar; deleted scenes; storyboards; Production; Props; and a theatrical trailer. The RRP is £24.99. 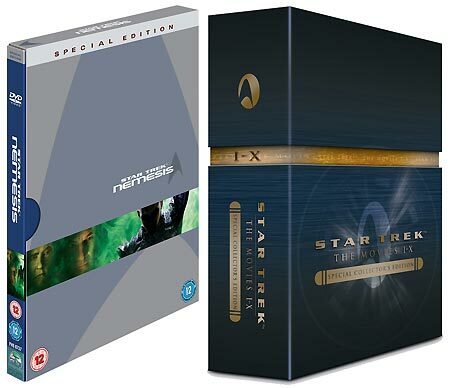 Paramount will also release the Star Trek: Movies Special Collector's Edition I-X box set on Boxing Day. The twenty-disc set will be packaged in "ultra-slimline" packaging, and will feature more than fifty hours of bonus features. Each set will be individually-numbered. The RRP is £129.99. I've received one of the discs from Fox's forthcoming The Lone Gunmen box set (which was announced on the 21st of November). The disc does feature the commentary tracks from the US release, so it's looking likely that the set will feature the same bonus material as the Region 1 edition. 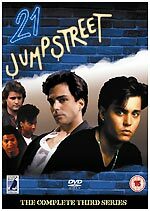 Anchor Bay will release the third season of the Johnny Depp TV series 21 Jump Street on DVD on January the 24th. The five-disc set features guest appearances by Bridget Fonda, Frasier's Peri Gilpin, Dom Deluise, X-Men 2's Kelly Hu, and Mario Van Peebles. This was the season that introduced Richard Grieco as a new member of the squad, Officer Dennis Booker. The episodes will be offered with a choice of Dolby Digital 2.0 or 5.1 audio tracks. It doesn't look like Anchor Bay have settled on an RRP for the set. The last set - also a five-disc set - had an RRP of £29.99. Play.com are listing the new set as having an RRP of £24.99.